The personal loan EMI calculator is an easy to use online tool that is available to you 24/7. It instantly calculates your pay-outs, helping you to plan your loan and your loan repayment better. All you have to do is enter the loan amount, rate of interest and loan tenure, and the EMI calculator will display the EMI amount in just a few seconds. 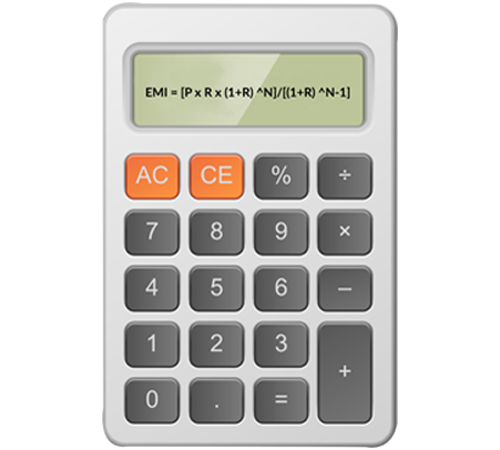 The personal loan EMI calculator has three fields. These fields represent the personal loan amount, the personal loan interest rate and the personal loan tenure, respectively. Below each of the field is a slider to help you make the selection. Assume your loan requirement is ₹ 4,00,000. The personal loan interest rate offered to you is 11.5% and the loan tenure is 5 years. Your personal loan requirement is for ₹ 4,00,000. So, slide the cursor to that amount. The interest rate offered to you is 11.5%. So, move your slider to select the interest rate. The loan tenure is 5 years. So, use your slider to select the personal loan tenure. You can recalculate your EMI as many times as you want by changing the input using the sliders. If you wish to lower your EMI, reduce the loan amount or the interest rate, or increase your loan tenure. If you can afford to pay higher monthly payments, either increase the loan amount or reduce your loan tenure. Personal loan EMI is a certain amount that the personal loan borrower pays to the lender each month on a specified date for a certain period. EMIs pay off the interest as well as the principal amount. The personal loan EMI calculation depends on 3 factors – the personal loan amount, the personal loan interest rate and the personal loan tenure. Personal Loan Amount: The total amount you borrowed is your loan amount. Interest Rate: There are two types of personal loan interest rates,fixed and floating. In fixed interest rate loans, the interest rate doesn’t fluctuate and remains the same throughout the loan tenure. That means, all the EMIs till the loan is paid off will be the same. However, the floating interest rate can vary, and hence the EMIs vary from time to time according to the fluctuation in the base rate. Personal Loan Tenure: It is the time period chosen by the borrower to repay the loan. Most banks offer flexible loan tenure. That means, the borrower has the power to choose the loan tenure, which usually ranges from 1 to 5 years. 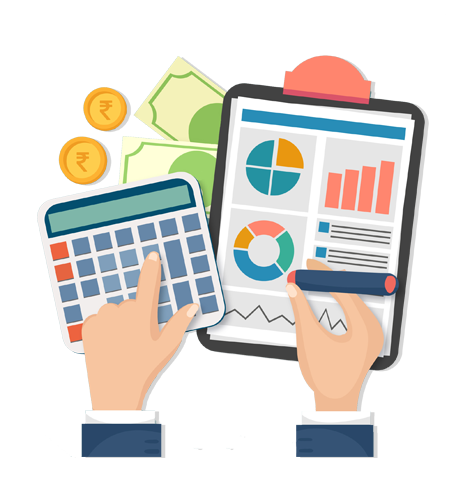 Once these details are entered in the personal loan EMI calculator, it then works on two arithmetic formulae – a simple calculation to calculate the interest and a complex calculation to calculate the personal loan EMI. P stands for the principal loan amount. R is the interest rate per month. For e.g. assuming that the interest rate per annum is 13%, then the rate of interest will be 13/ (12 x 100). N is the numberof monthly instalments. EMI is the monthly payment you make to repay your loan. A personal loan EMI includes the principal amount and interest amount. The interest rate applied to your loan amount is distributed throughout your loan tenure. The interest amount will be high during the initial period of your loan tenure. As you come towards the end of the loan tenure, your repayment will pay the interest amount less and the principal amount more. Does tedious calculations easily – saves your time and energy. Calculates your personal loan EMI in seconds – quick and reliable. Helps you to assess your repayment capacity – helps to plan your finances well. Displays a consolidated list of the best personal loan offers – helps you make informed decisions.